Why Invest in Grand Alpacas? 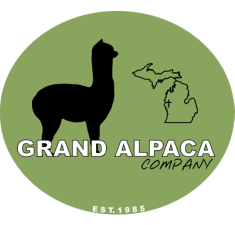 Beginning of Grand Alpaca Co.
We have decided as a farm that we want to be successful now and in the future. We pride ourselves on the care we provide for our animals. As much as we know they are beautiful animals, they are also a very healthy source of nutrition. Our alpacas are very special to us and we do not take it lightly in deciding which animals will be harvested for meat. As a farm owner of animals it makes sense to harvest the meat of animals that may not produce the fiber quality or have the right genes to breed. Alpacas have been a main source of nutrition all around the world. Alpaca meat is very healthy and a nice alternative to beef. Alpaca is very tender and lean, tasting very similar to beef. Most consumers probably would not even notice a difference. What they would see however, is that they are eating a healthier option compared to beef. Alpaca meat is lower in calories, fat, cholesterol and has high-protein content. Ground alpaca can be substituted for ground beef, turkey and chicken in any recipe. Other interesting articles related to alpaca as meat or carne. Copyright © 2015: All content Grand Alpaca Company, an alpaca farm. Alpacas in Michigan.